A recent report generated by International Data Corporation (IDC) revealed that India’s tablet market has clocked its strongest third quarter growth so far during July-September 2014. The main reason behind the growth as per the report is the strengthening commercial demand and the festive buying. As revealed by the report, tablet market shipments in India seen a strong quarter-on-quarter growth of 10% making it a 0.94-million-unit market. “The initial phase of impulsive buying seems to have faded, as the consumers are more aware of the use case of tablets now. Therefore, the current size of the market looks more realistic and stable,” Tanvi Mann, market analyst, IDC India said. 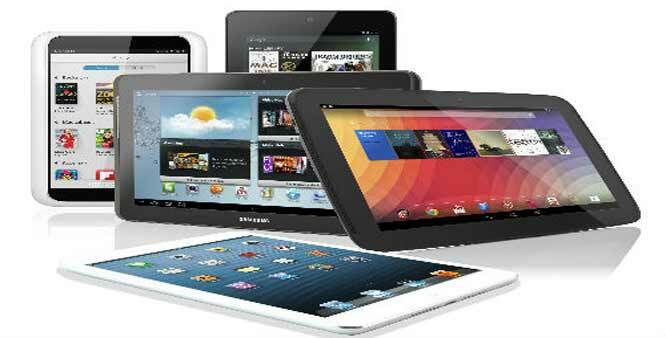 As per the report, the tablet market in India is led by Samsung, followed by Micromax and iBall. Although it is believed that there will be lesser intake in fourth quarter (October-December) 2014 due to the seasonality, but the commercial segment is likely to grow in comparison to a stable consumer market in 2015. The reasons accountable for this growth in 2015 would be the government projects and government-aided education projects.